In 1971, Newport local Ruth Myers was looking for a way to highlight Christmastime traditions in that beautiful Rhode Island city. More than 40 years later, Myers’s Christmas in Newport is an annual tradition that celebrates the region’s history and culture while supporting local non-profit agencies. The city and harbor are decked out in white lights throughout the month of December. There are events throughout the month, all of which are either free to the public or the cost is donated to a local charity. Local businesses help to underwrite the events, which range from lantern-lit history tours to holiday storytelling for children to tours of Newport’s iconic mansions decked out for the holiday. Find out more about Christmas in Newport. On Christmas Day in 1929, a pilot from Friendship, Maine decided to make a few airborne deliveries to lighthouse keepers around midcoast Maine to thank them for their service. William (Bill) Wincapaw and his floatplane were well known in Rockport and around Penobscot Bay, as he helped to transport islanders who needed medical help back on the mainland. Wincapaw felt indebted to the lighthouse keepers and their families who made his flights safer as he battled fog and bad weather, so he decided to bring them some simple tokens of his appreciation like coffee, newspapers, and candy. When Wincapaw realized how much this simple act meant to the recipients, he turned it into an annual tradition that would spread throughout New England. Wincapaw’s son, Bill Jr., eventually joined him on his trips and they expanded their reach to include Coast Guard stations as well as lighthouses and they started to cover the coasts of Massachusetts, Rhode Island, and Connecticut. Eventually, Wincapaw would dress as Santa Claus as he had been dubbed the “Flying Santa” by the lighthouse families. As their reach spread, Wincapaw and his son were able to get businesses to help support the cost of fuel and gifts. He began to bring toys and dolls to the children on his route and continued the tradition of providing coffee, newspapers, and other simple household items that were normally difficult to deliver to the lighthouses’ remote locations. After the Wincapaws relocated from Maine to Winthrop, Massachusetts, Bill Jr.’s high school history teacher, Edward Rowe Snow, an aviation enthusiast and author of many books about the history of the New England coast, began to help out with the annual Christmas delivery. Father and son would take a northern route, covering Maine, while Snow would deliver to the coast of Southern New England. It continued this way through much of the 1930s. During the war, the 1942 deliveries were cancelled due to the Flying Santas’ military commitments. The following year, the Flying Santas got special permission from military officials to continue their route. They had their aircraft painted with a Christmas slogan to make it clear to the anti-aircraft batteries of New England that they were not an enemy plane. In 1946, both Wincapaws as well as Snow were back on the job, and they delivered packages to 118 lighthouses and Coast Guard Stations around New England. The following year, Wincapaw Sr. had a heart attack while piloting his plane in Rockport. He and his passenger both died when his plane plunged into the water shortly after takeoff. 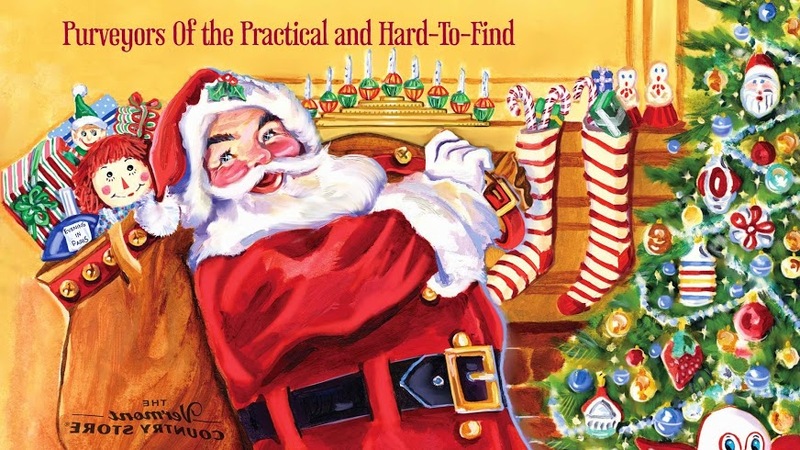 Edward Snow took over and expanded the Flying Santa route to cover 176 lighthouses and Coast Guard Stations from Maine to Florida. Snow would continue his deliveries every Christmas for decades (with the exception being 1974, when most visits had to be cancelled due to bad weather). Over the years, as the Flying Santa tradition became more publicized, corporate sponsors contributed aircrafts and gifts and local television stations covered the Flying Santa’s route and deliveries. Snow had to adapt to changing FAA regulations and modernization. He would eventually use a boat to deliver to some islands in Casco Bay and Boston Harbor due to flight restrictions, and when automated lighthouses meant many lighthouse keepers and their families moved away, Snow still made deliveries to islanders and Coast Guard stations. After Snow’s death in 1982, the Hull Lifesaving Museum in Massachusetts took over the annual flights for several years. Coast Guard members often served as Flying Santas into the 1990s. 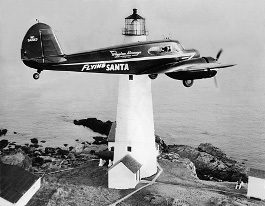 The route was cut back due to the fact that so many lighthouses were automated by then, but the flights, now run by the Friends of the Flying Santa, continue to take place every year, making deliveries to many of the stops along the New England coast that Bill Wincapaw visited more than 80 years ago. On December 6, 1917, the SS Mont-Blanc, a French ship laden with ammunition, collided with another vessel in the harbor in Halifax, Nova Scotia. The Mont-Blanc caught fire and its ammunitions exploded, causing devastating damage to the city. Estimates indicate that between 1,700-2,000 people were killed by collapsed buildings, flying debris, and other after-effects of the explosion. More than 9,000 were injured. Some sources claim the explosion was the largest man-made blast before the invention of nuclear weapons. The explosion was so large that it created a tsunami that wiped out all the inhabitants of a First Nations settlement on the other side of the harbor. Relief came from around Canada and American cities like Chicago, but Boston made particularly generous contributions. When Bostonians learned of the disaster, they organized a relief train that included medical personnel and supplies. The train reached Halifax on December 8 (it was delayed one day due to a snowstorm). 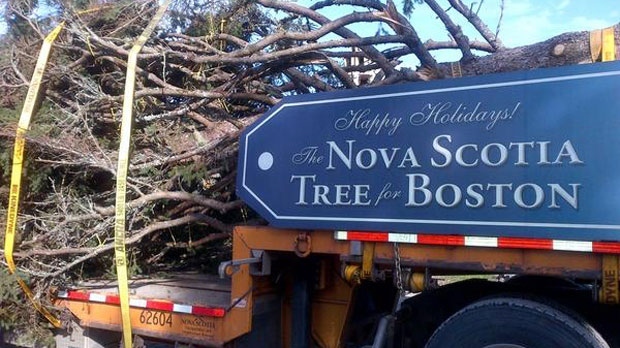 To show their appreciation (and highlight tourism and trade opportunities), Nova Scotia Christmas tree farmers sent Boston a tree for the holidays in 1918. This idea was revived in 1971, and since then the government of Nova Scotia has sent an official Christmas tree to Boston every year. They even have guidelines to ensure the quality of the tree (it must be a white or blue spruce of a certain height and density). Each year, the city of Boston holds a ceremony to light the tree, and it stands on Boston Common throughout the season. 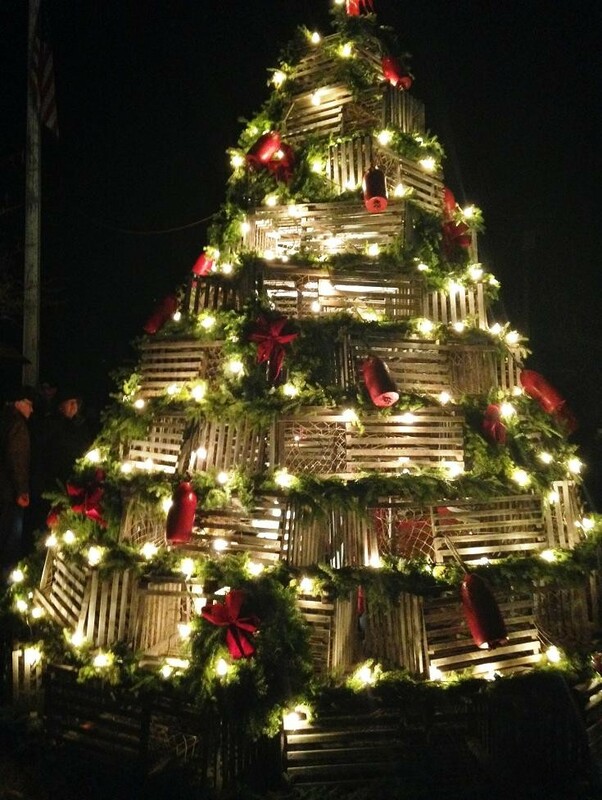 Read about the 2014 tree. Read more about the Halifax Explosion.